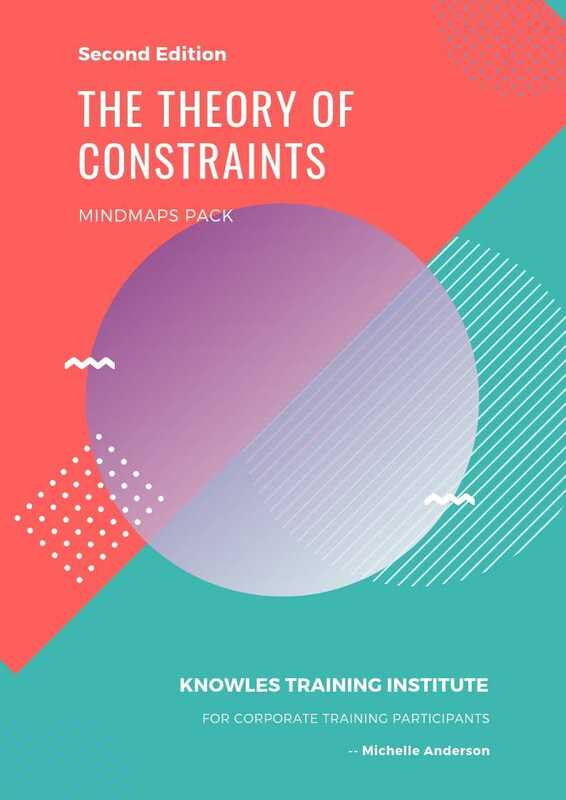 The Theory of Constraints is a system used for identifying the most significant limiting factor (constraint) that blocks the way of accomplishing a goal and then regularly developing that constraint until it is no longer the limiting in nature. In manufacturing, the constraint is also known as a bottleneck. 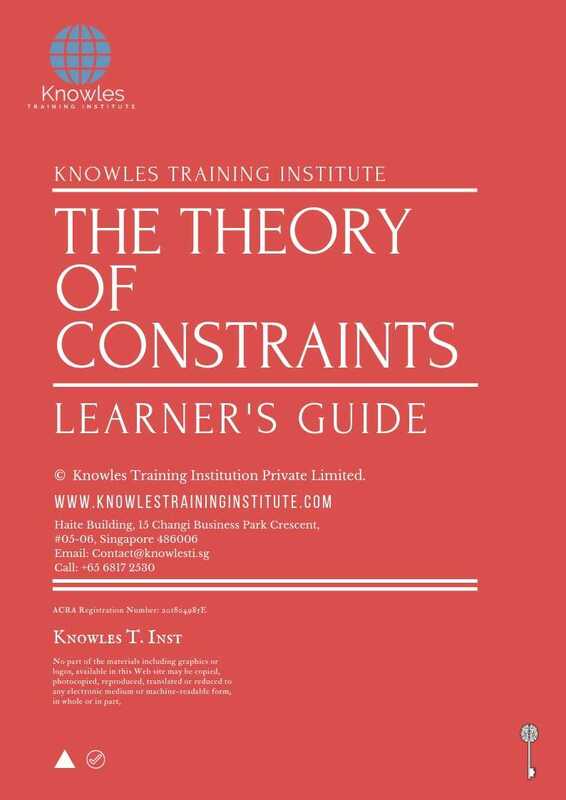 The Theory of Constraints takes a highly scientific approach to improvement. It hypothesises that every complex system, including manufacturing processes, consists of many connected activities, one of which serves as a constraint upon the entire system (i.e. the “weakest link in the chain”). 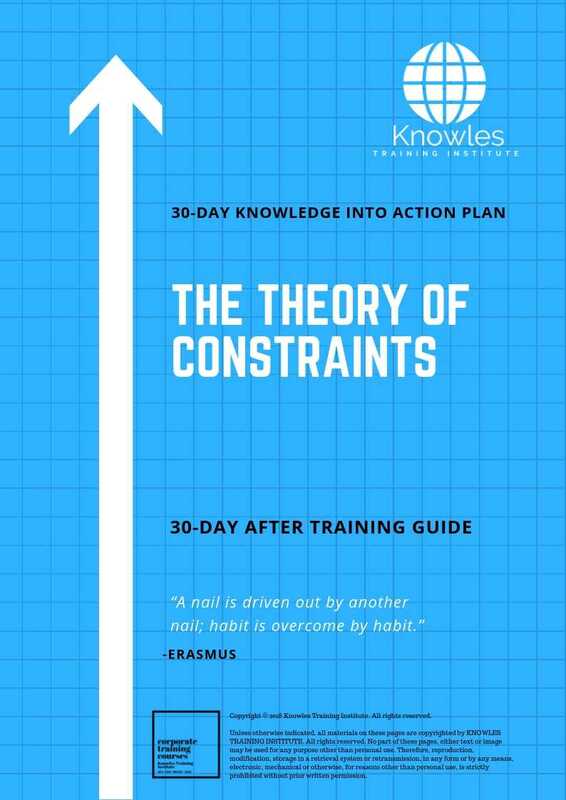 The Five Focusing Steps which is a methodology for identifying and eliminating constraints. Thinking Processes is a tool for analysing and resolving problems. Throughput Accounting is a method for measuring performance and guiding management decisions. 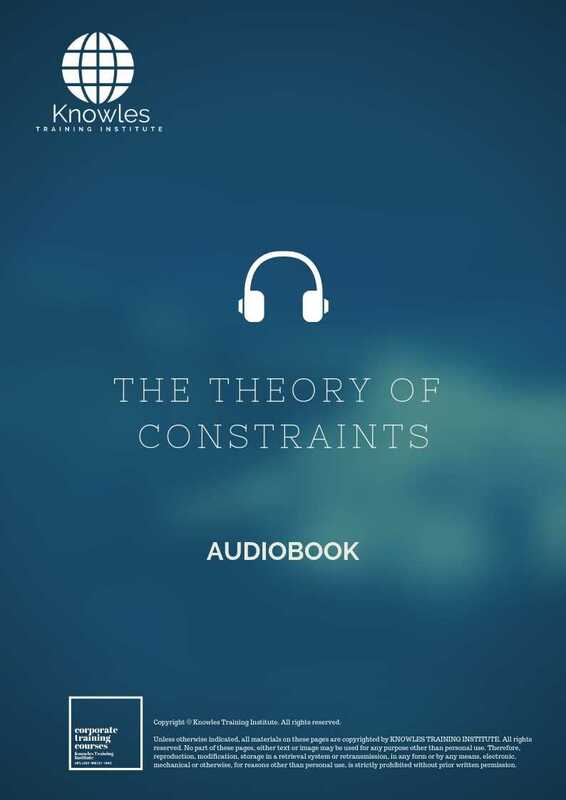 Dr Eliyahu Goldratt invented the Theory of Constraints (TOC), and presented it to a broad audience through his bestselling 1984 novel, “The Goal”. 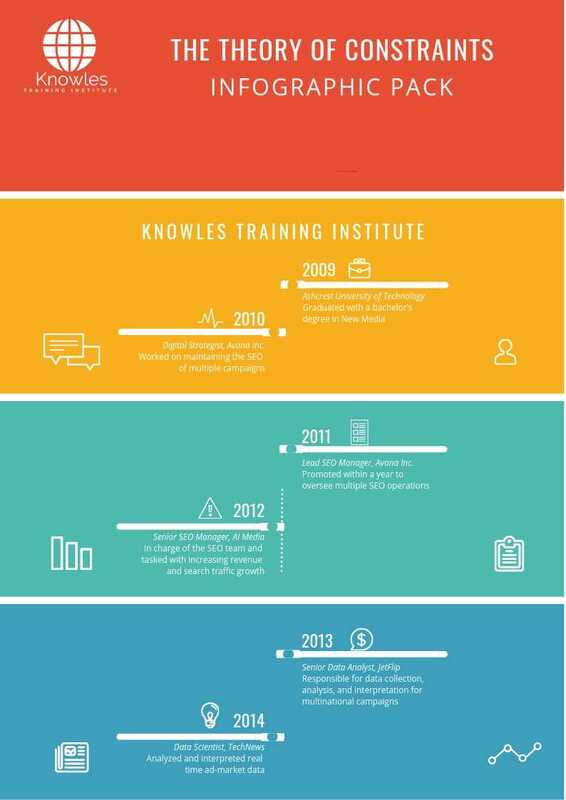 Since then, Theory of Constraints has continued to evolve and improve. 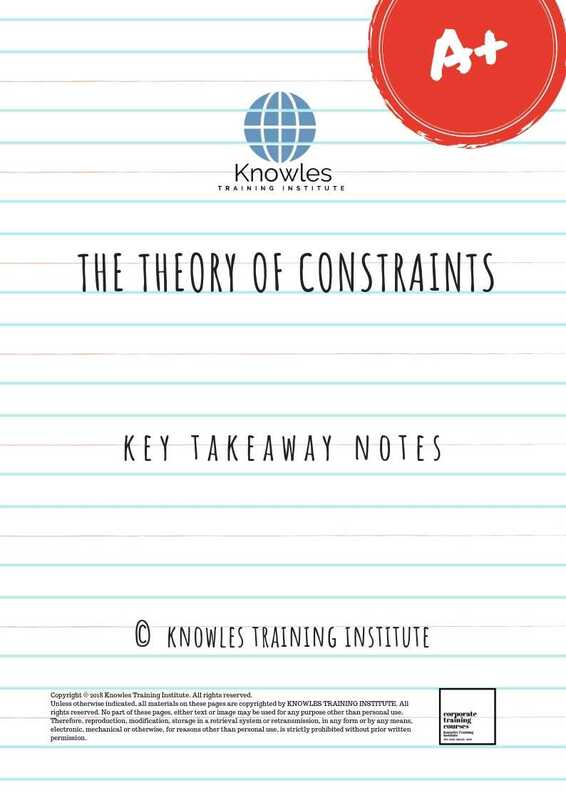 One of the appealing features of the Theory of Constraints is that it essentially prioritises improvement activities. The first priority is always the current constraint. 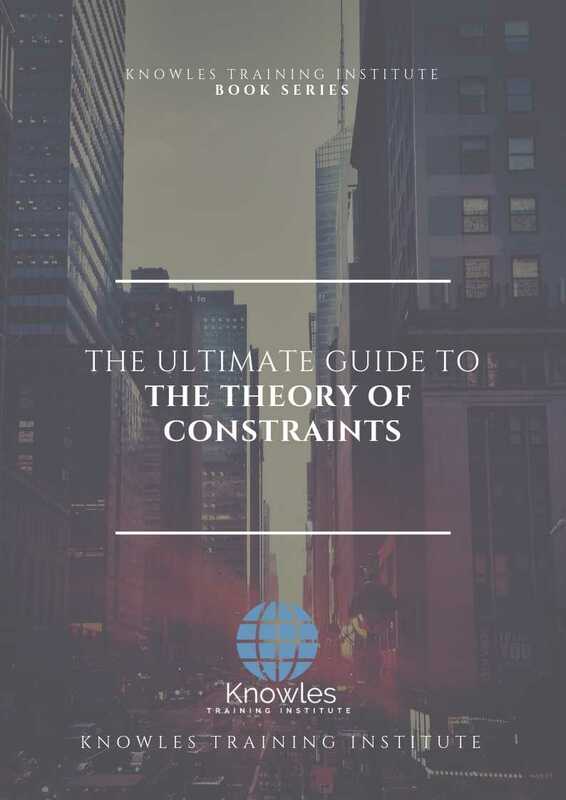 In conditions where there is an urgent need to better, Theory of Constraints offers a highly focused methodology for creating fast improvement. 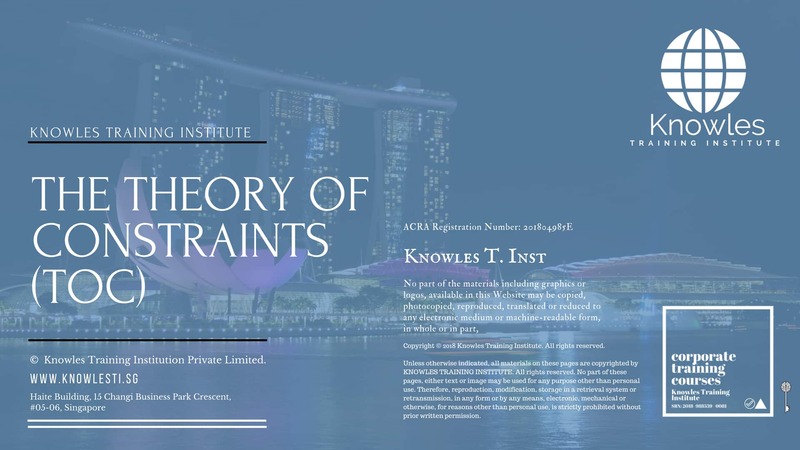 This Theory of Constraints (TOC) workshop is ideal for anyone who would like to gain a strong grasp and improve their knowledge and implement TOC within their organisation. 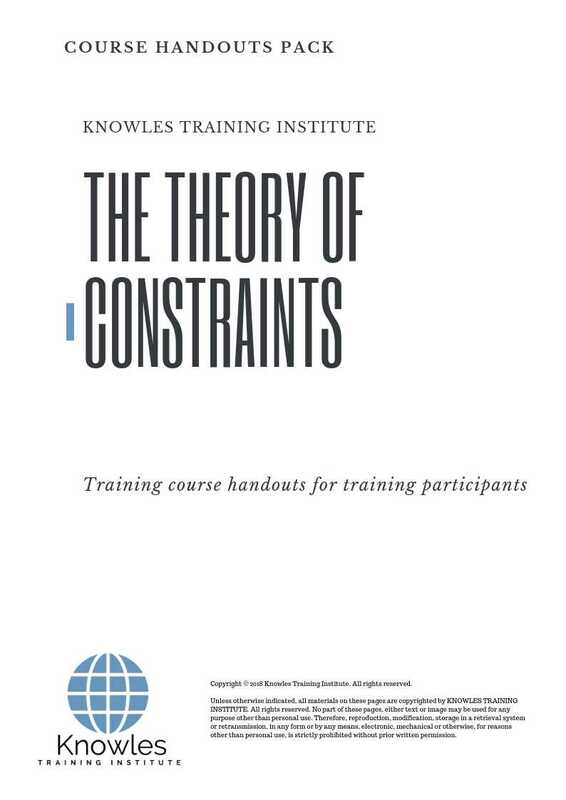 The duration of this theory of constraints workshop is 1 full day. 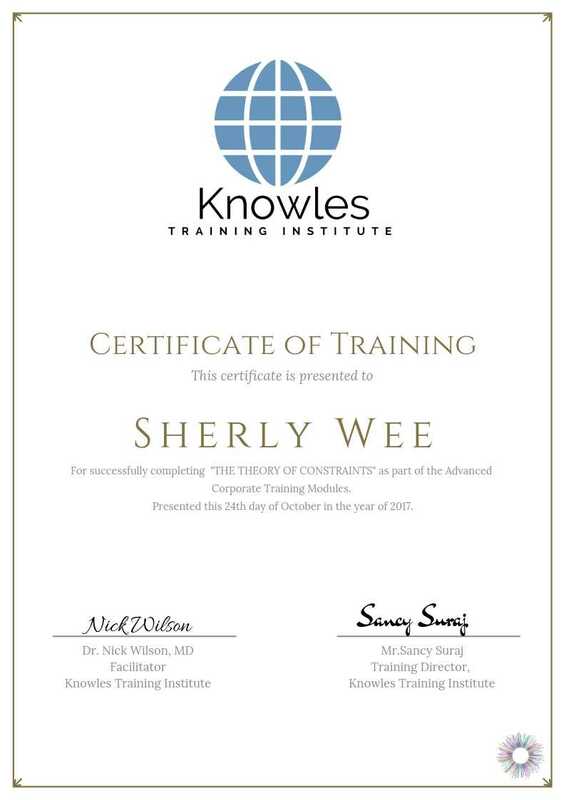 Knowles Training Institute will also be able to contextualise this workshop according to different durations; 3 full days, 1 day, half day, 90 minutes and 60 minutes lunch time talk. 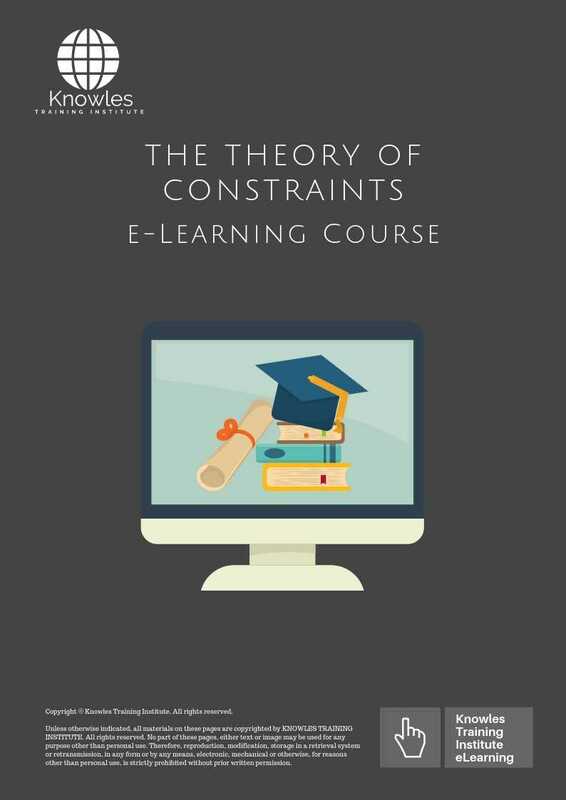 Display an understanding of Theory of Constraints central beliefs, paradigms and concepts. Strive to show the ability to apply these key ideas within a realistic scenario. 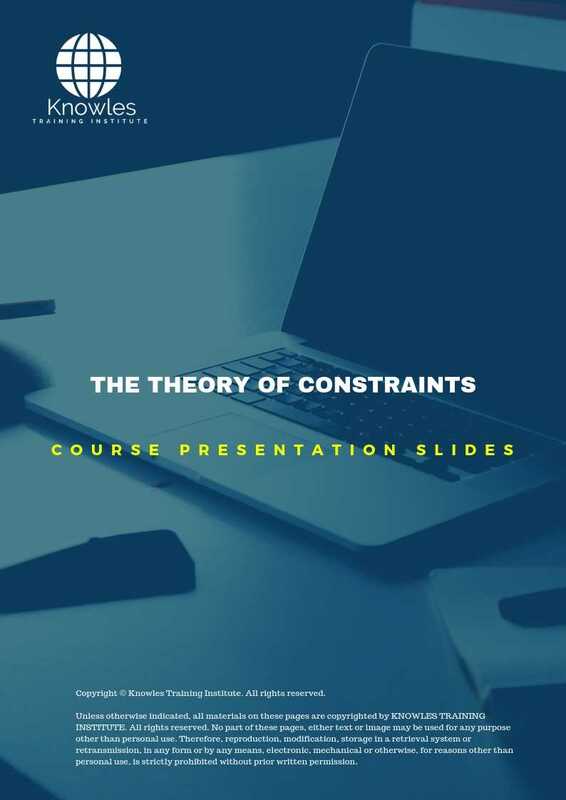 Compare and differentiate the Theory of Constraints basics with traditional wisdom approaches. Understand the conceptual distinction between managing a ‘simple’ and a ‘complex’ system. Have the ability to utilise this understanding in a specific condition. Identify and understand the five-step focusing process. Be able to implement these steps in a realistic situation. Explain the relationship between a realistic goal, necessary conditions for goal achievement, and any prerequisites for those meeting the requirements. For a distinct scenario, apply these concepts in a meaningful way. 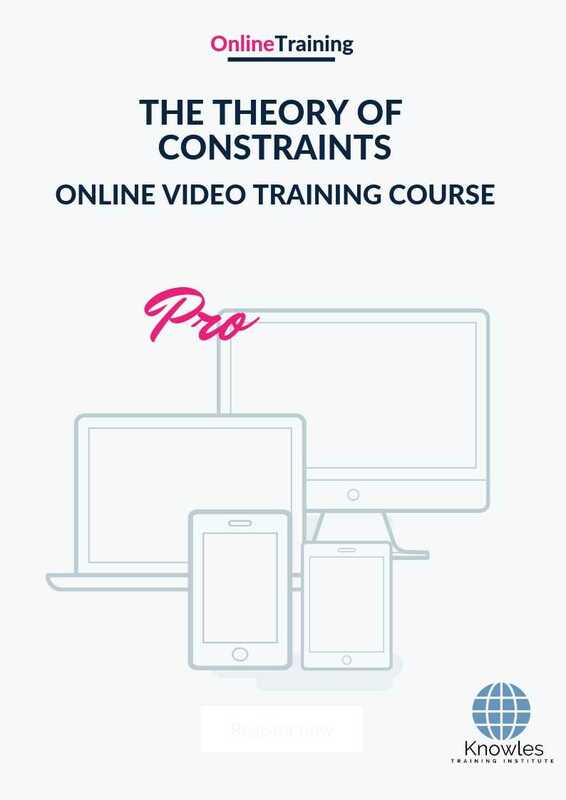 Discuss system constraint(s), their relative significance, and different strategies for managing them. 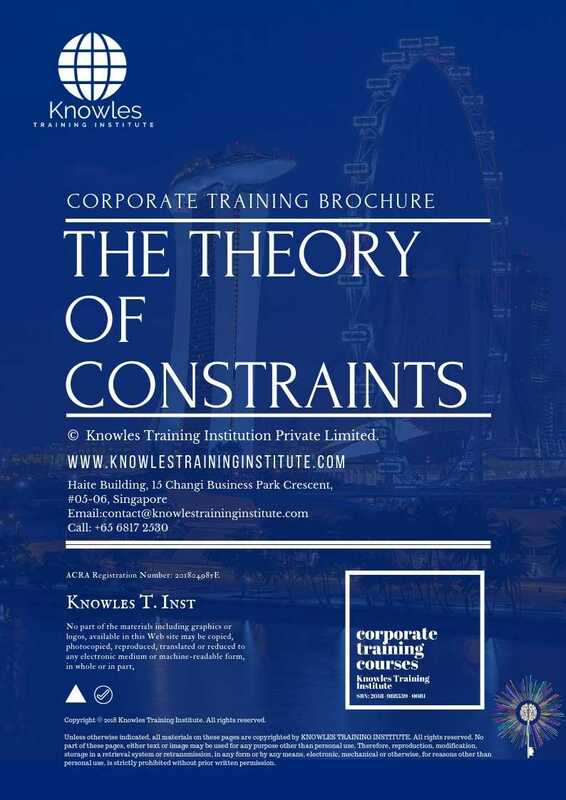 Describe the Theory of Constraints systemic or global metrics relevant to organisations residing in various industrial sectors. Distinguish between the “cost” and “throughput” world adjustments. Exhibit a fundamental understanding of TOC Thinking Processes. Name the three questions linked with the Change Sequence. What are limiting factors for a company? 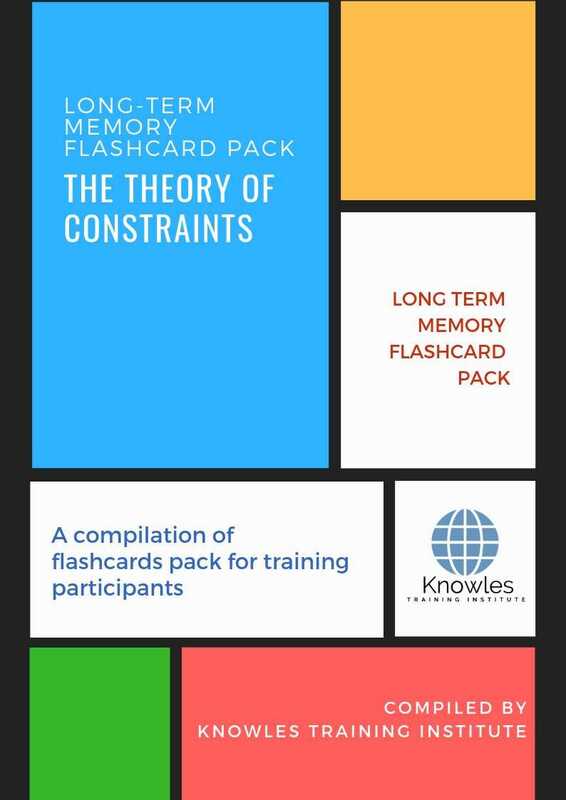 How to implement the theory in practice? How it assists the companies in setting marketing strategies?